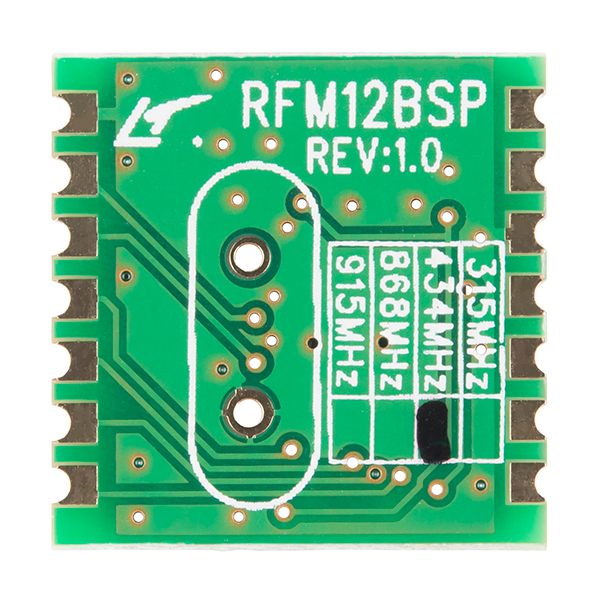 The RFM12BSP is a great inexpensive option for wireless communication; it's an ISM band FSK transceiver module implemented with a unique PLL. 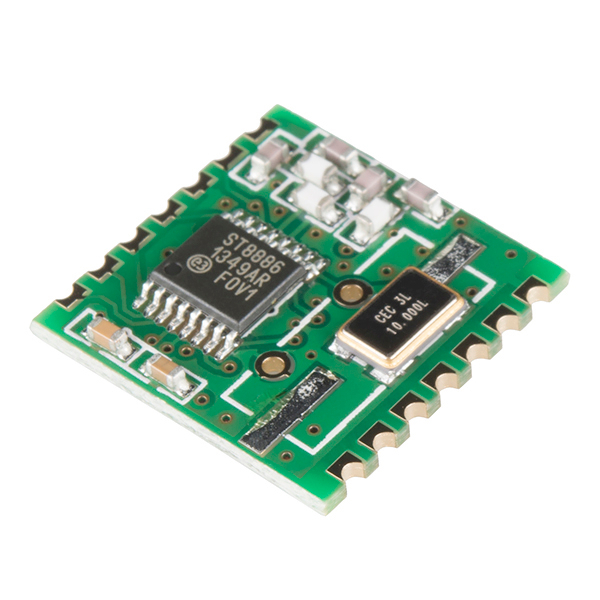 These modules operate in the 434MHZ band and fully comply with FCC and ETSI regulations. Great product and I have used both the 434mhz and 915mhz with no issues. One thing that I would like to point out is that you can get the exact same module in whatever quantity you want, directly from the manufacturer for about $4 with no manufacture lead time and 4 day shipping. Do you mean rf-solutions or hoperf? I couldn't get a reply from hoperf for my e-mail. Gaaah... it uses 2mm pin spacing! Why? For the love of God, why!!?? To use this, I'd need to buy a breakout board... which costs nearly as much as the module itself. I made mine work in a breadboard by bending the tops of a breakout header to fit the spacing. Pins 1 and 14 (or was it 7 and 8...) aren't required for use with an ATMega - one is a 2nd GND that can be wired to the other ground without connecting the header, I don't remember what the other pin is... Anyway, that works somewhat. Agree about the breakout though - see my question below. Just a heads up, but these models do not appear to be FCC, etc pre-certified. A statement within the product description ('fully comply with FCC and ETSI regulations") can be misinterpreted to mean a pre-certified... 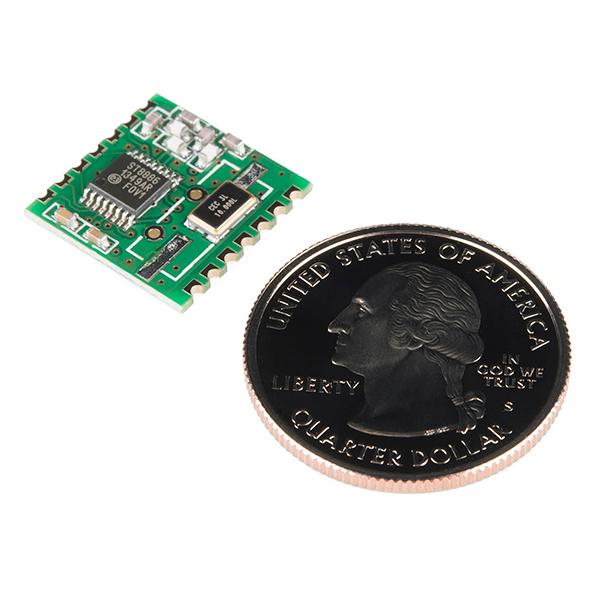 This means that although this module compiles with the FCC regulations using it within a commercial product will require formal FCC approvals which are quite costly. If I am correct, and correct me if I'm wrong, I believe in the United States one must first acquire an amateur radio license of any class to transmit in the 70cm band (420-450MHz). It's complicated but you are essentially correct that the 433MHz parts are intended for ISM region 1 (Europe, Africa, Mideast, Russia) while the 915MHz parts are intended for region 2 (Americas). There is considerable overlap and local differences that aren't covered in the above maps. These devices are designed to be low-power and noninterfering with other devices, so unless you're deploying a commercial product or a very large number of them this isn't likely to affect you directly. While the statement is mostly true the FCC requires certification to Part 15 for just about anything you build - even if it is made up of compliant parts. Even if this radio bore a Part 15 certification you could not build a device using it and "inherit" an FCC certification. Will there be a real breakout this time? The one 'below' is for the RFM22 which has more pins. Also, I assume the arduino thield for the 22 can't be used for the 12, or is the SPI and power pinout he same? My wife purchased me a few of the older module RFM12B's SFE was selling and they are great! I'm going to need some more soon and was a bit worried they had gone EOL - I'm hoping with this new model it means that isn't a problem. I'd googled breakout boards for these modules and had come up with one's listed above as well. I've got a couple and they seem to work really well for me. Wait a second... why does it say radio? i though it was supposed to be a food. Can anyone explain? What's the operating range of these things? It's all in the antenna. Google "DIY ground plane antenna". I've built a few of them and although they have no gain, the go miles farther than a whip. Quite a bit actually. There are quite a few products using the Hope RF modules. Jeelabs, strobotics, openenergymonitor, lowpowerlab. etc. Google 'RFM12B range' (I think the unit above is similar, can't be sure as the datasheet links to the old module) for more info. Hi!, Anyone know what's the address of the control registers ? 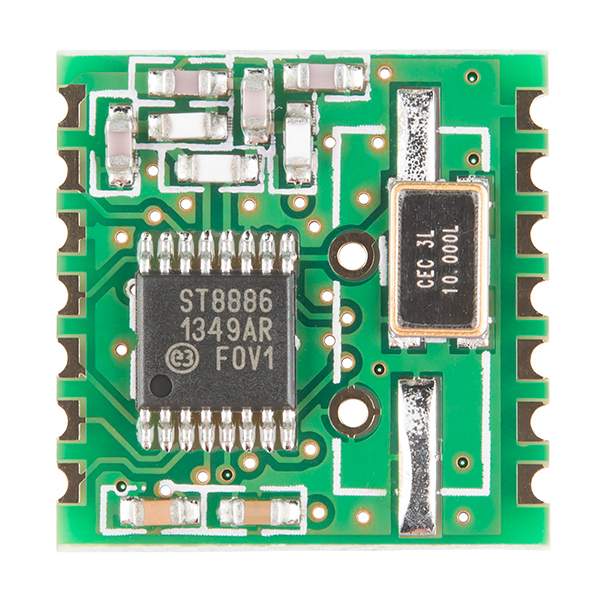 So this is the new version of the RFM12B, https://www.sparkfun.com/products/9582 ? It looks like the chip-on-board blob was changed to an SMD IC, but are there any other changes? Is it 100% compatible with the old RFM12B?